Clipboard, Kakbep Recycled Heavy Duty Aluminum Clipboard with Strong Butterfly Clip Double Side Non-Slip Design, 9'' x 12.5'' by Kakbep at Community Frontiers. MPN: Kakbep22. Hurry! Limited time offer. Offer valid only while supplies last. 【Durable Material】:the clipboard is manufactured with high-quality, recycled aluminum, which is procured from 60% post-consumer waste aluminum. 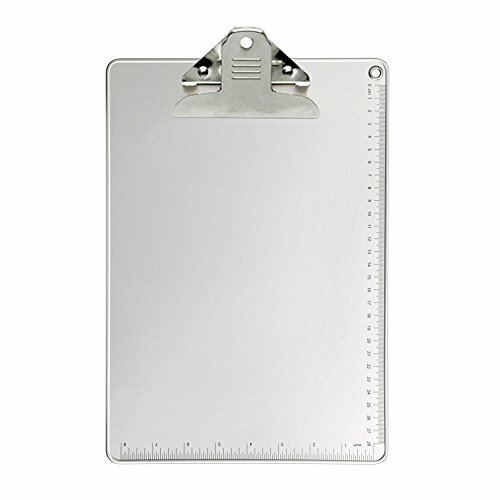 The light-weight clipboard is an easy-to-carry stationery item. The use of aluminum also averts any chance of rusting. View More In Clipboards & Forms Holders. If you have any questions about this product by Kakbep, contact us by completing and submitting the form below. If you are looking for a specif part number, please include it with your message.